Caspar Wistar M.D. is the grandson of the Caspar who built the glass business. His medical training was first rate: University of Edinburgh. The family could clearly afford the best. Following graduation, he returned to Philadelphia where, in 1789, he succeeded the esteemed Benjamin Rush as the chemistry professor at the College of Pennsylvania, known today as the University of Pennsylvania. 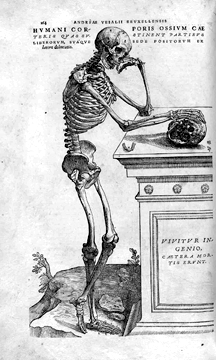 Caspar Wistar also taught midwifery and, most importantly, anatomy. In fact, Doctor Caspar Wistar wrote the seminal American anatomical textbook, the two-volume A System of Anatomy, published in 1811 and 1814. Caspar the M.D. was a highly respected member of numerous of the most learned societies in the humanities and sciences, and sat on the boards of numerous schools and hospitals. His expertise earned him worldwide renown, which helped him to recruit medical students from Europe to study in Pennsylvania. Doctor Wistar was among the earliest advocates of the benefits of vaccination against disease. Thomas Nutall, the botanist, named the familiar vine Wistaria for Caspar. Watchful eyes studying the Lewis and Clark Expedition may recall the name Wistar, too. As Stephen Ambrose reminds us, “Dr. Caspar Wistar was the last of the Philadelphia savants” Meriwether Lewis consulted while preparing for his journey through the Louisiana Purchase territory. Thomas Jefferson, Doctor Wistar’s close friend, as revealed through Jefferson’s correspondence, recommended the doctor to Lewis. Ambrose cites Wistar as the “foremost authority on fossils in America.” Wistar and Meriwether Lewis discussed Megalonyx and the mastodons Jefferson and Lewis thought might still be stomping Midwestern prairie. Lewis sent Wistar specimens for identification. With Henry Wister, the family saga twists away from the stolid towards the curious. 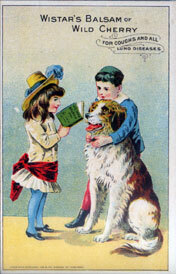 Henry Wister’s legacy is also the easiest to illustrate, so we’ll indulge. Besides Richard, Caspar “Glass” Wistar had another brother, John. John’s line spelled the family name with a penultimate “e” rather than “a.” Henry descends from John, as does Sarah (Sally) Wister, the author of Sally Wister’s Journal, a chronicle of a young woman’s life during the British occupation and later evacuation of Philadelphia. Circa 1840, Henry Wister developed a nostrum, Dr. Winstar’s Balsam of Wild Cherry, a heady mélange of cherry bark, alcohol and opiates. Sales were enormous. 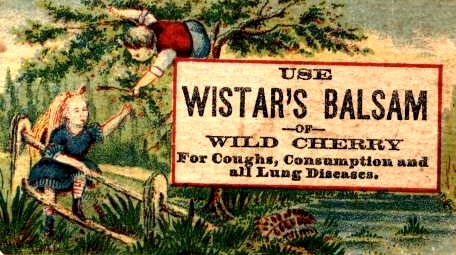 Dr. Winstar’s Balsam of Wild Cherry was on the market for over 100 years. Its bottles- made long after the Wistarburgh glassblowers last fired the furnace near the dawn of the Revolutionary War- remain highly prized by glass collectors. 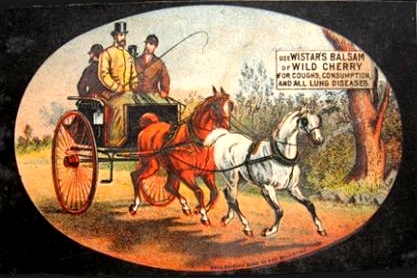 Heavily advertised, Dr. Winstar’s Balsam of Wild Cherry was often featured in large placements in newspapers up and down the US eastern seaboard and throughout Canada. In its heyday, the Balsam was the best selling nostrum on the market. So ran a sample ad. At a buck a bottle, it was worth a shot, even if just for the buzz. Familiar as this melodrama might sound to students of the 1692 Salem Witch Trials, neither the afflicted girl, Elizabeth Kelly, nor the alleged witch, Goodwife Ayers, lived in Massachusetts, and Salem judges such as Samuel Sewall would not hear the infamous Witch Trials for another 31 years. Circumstances surrounding Elizabeth Kelly’s accusation of Goodwife Ayers render her case quite different from any other in the colonies. 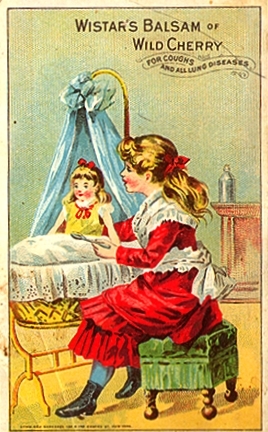 Eight-year-old Elizabeth, the victim of the alleged witchery, was not only delusional, she was clearly physically ill—she died within days of the onset of her pain. physician, Bray Rossiter. Mr. Rossiter lived in Guilford, Connecticut, and 20-mile travel from Hartford. It took Bray Rossiter several days to arrive at the gravesite, at which he performed the first recorded autopsy in Connecticut; JAMA claims that Rossiter performed the first postmortem in America. 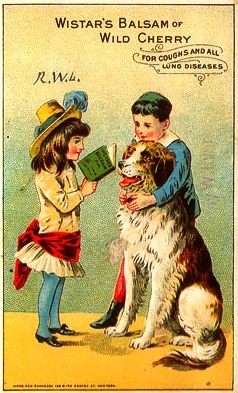 Bray Rossiter tackled the necropsy with the assistance of the schoolmaster, William Pitkin. At least six others witnessed the procedure. 1. The whole body, the muscular parts, nerves and joints were all pliable without stiffness or contraction, the gullet only excepted. Experience of dead bodies renders such symptoms unusual. 2. From the costall ribs to the bottom of the belly in the whole latitude of the womb, both the scarf skin and the whole skin with the enveloping or covering flesh had a deep blue tincture, when the inward part thereof was fresh, and the bowels under it in true order, without any discoverable pecaney to cause such an effort or symptom. 3. No quantity or appearance of blood was in either venter or cavity as belly or breast, but in the throat only at the very swallow where was a large quantity as that part could well contain, both fresh and fluid no way congealed or clodded as it comes from a vein opened, that I stroked it out with my finger as water. 4. There was the appearance of pure fresh blood in the backside of the arm, affecting the skin as blood itself, without bruising or congealing. 5. 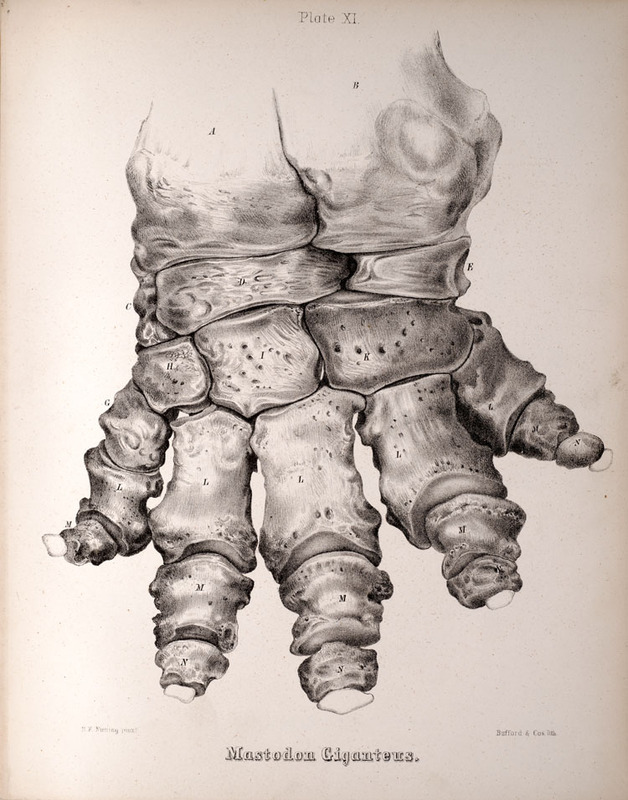 The bladder of gall was all broken and curded, without any tincture in the adjacent parts. 6. The gullet or swallow was contracted like a hard fish bone that hardly a large pease could be forced through. The doctor clearly hadn’t studied many cadavers. The symptoms he describes are common to corpses several days old. He may have been examining a body but, along with the rest of Hartford, Rossiter was hunting for a witch. 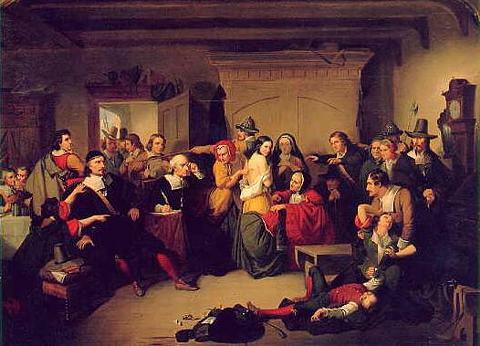 Unlike inquisitors past and future, Rossiter studied the victim for the effects of the witch, rather than the witch herself, even though Goodwife Ayers was present for at least part of the inquest. Bray Rossiter’s medical report did not commit him- in writing- to the conclusion that Goodwife Ayers was a witch. Confronted by symptoms and characteristics unfamiliar to his limited medical knowledge, Rossiter swore that Elizabeth Kelly suffered unnatural harm. Hartford knew exactly what his report said between its lines: his autopsy proved Goodwife Ayers was a witch. A man of science corroborated, and tapped, one of the deepest Puritan fears. All Hell was breaking loose in Hartford. Rossiter’s autopsy unleashed panic in Hartford. Over the next eight months, Hartford tried eight witches. The Hartford Witch Trials predate the Salem Witch Trials by three decades. Goodwife Ayers and her husband abandoned their young son, skipped town, and avoided a sure death sentence from acting Hartford authorities. “The First Postmortem Recorded In The Country.” JAMA 21:661-662. October 28, 1893. St. George, Robert Blair. Conversing By Signs: Poetics of Implication in Colonial New England Culture. Woodward, Walter. 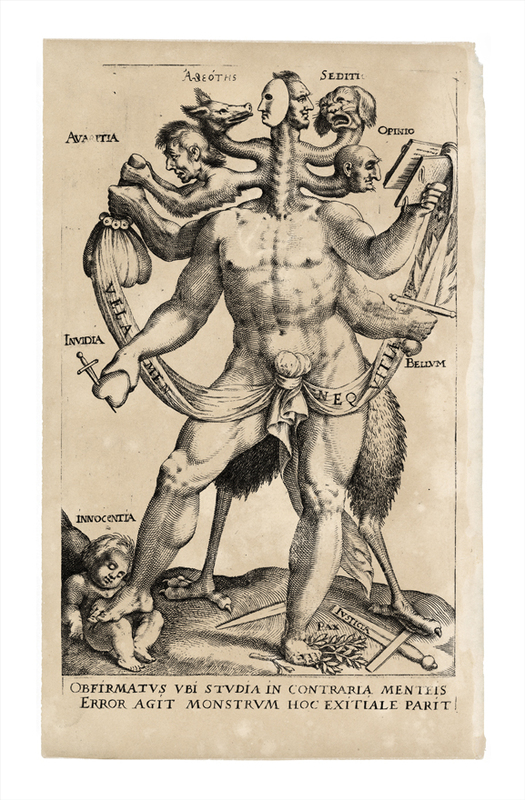 “New England’s Other Witch Hunt: the Hartford Witch-Hunt of the 1660’s and Changing Patterns in Witchcraft Prosecution.” Magazine of History 17:4; July 2003. 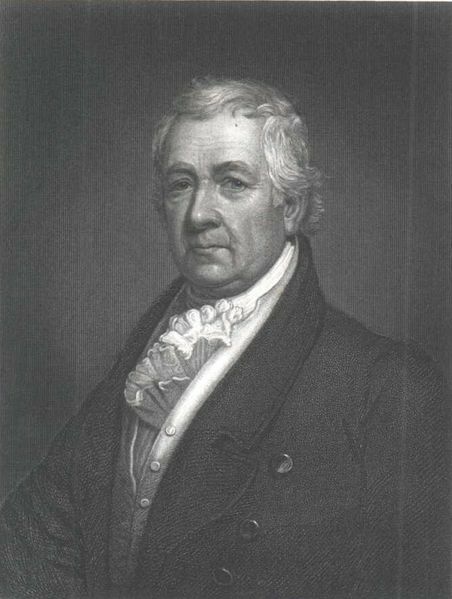 When he wasn’t busy giving speeches celebrating the opening of the Erie Canal, classifying fish, or founding colleges, polymath Samuel Mitchell, a senator from New York, spent time in the field in which he received University training: medicine. Samuel Mitchell was graduated from Scotland’s prestigious University of Edinburgh. Among virtually innumerable pursuits, he saw patients, at least early in his career, but his lasting recognition as a man of medicine has more to do with research than practice, as attested by his contributions to the development of anesthesiology, or his founding of The Medical Repository, the first medical journal first published in the United States. Mitchell was routinely consulted on a wide range of matters of science. The groundbreaking pamphlet, The Surprising Case of Rachel Baker, Who Prays and Preaches in her Sleep, finds the eminent Samuel Mitchell on a panel of five physicians called as informal expert witnesses to Baker’s somnambulist sermons. Although the stenographer Mais’ role in writing the book outweighed that of Mitchell, who contributed the introduction, the publication of Baker’s performance positions Mitchell as a bit player in a groundbreaking, and trendsetting, piece of work. Mitchell’s primary role was to lend credence to the recording of the events, and only secondarily, if appropriate, reflect upon the substance of the events, or contribute medical diagnosis. That being said, Mitchell, who never wasted an opportunity to expound- and usually at some length- wrote an introduction to the book that “evinced psychological views of original combination,” per the New York Journal of Medicine, and drew parallels between Baker’s symptoms and those of one suffering from epilepsy or hysteria. He concluded that Baker’s state of consciousness was between waking and sleep. Mitchell studied neither somnambulism nor multiple personality disorder after observing Baker in 1814. As the century rolled on, however, somnambulism, more specifically in the context of the trance speakers and writers, would come to play a substantial role in popular culture, science and, perhaps most importantly, the women’s movement and other aspects of political reform. The psychology of multiple personality disorder continues to evolve. The Surprising Case of Rachel Baker, Who Prays and Preaches in her Sleep is important as an early contribution to both fields. Mais, Charles and Samuel Mitchill. The Surprising Case Of Rachel Baker, Who Prays And Preaches In Her Sleep: With Specimens Of Her Extraordinary Performances Taken Down Accurately In Short Hand At The Time …: The Whole Authenticated By The Most Respectable Testimony Of Living Witnesses. Rieber, Robert W. The Bifurcation of the Self: the History and Theory of Disassociation and its Disorders.